I constructed this as a dedicated Steam box for placement within a home theater setup, so I wanted something that was compact and quiet, yet performant enough to run modern games at 1080p and 60 FPS. The Hadron Air case seemed like the best choice, due to its extremely compact size (roughly two Xbox 360s stacked) and understated finish. Didn't go with EVGA's own motherboard for this, because it was more expensive than alternatives yet lacked onboard WiFi and Bluetooth support. The Asus Z87I-Deluxe fits this case nicely, and doesn't require you to adjust the CPU cooler to fit the graphics card. Went with the MSI GeForce GTX 760 after reading the reports that it is the quietest card in its class. Those reports hold true. Under load, the system is indeed extremely quiet (I was able to dial back the fan profiles to "silent" after observing that the temperatures stayed quite low under stress). You have to press your ear to the PSU to hear its fan, and the loudest noise in the system currently comes from the CPU cooler fan on the EVGA mITX cooler assembly. I might replace that fan with a quieter one, as well as the two case fans at the top, in order to completely silence the system, but you can't hear the fans at all if you step back a few feet. It's far, far quieter than the PS3 and Xbox 360 I have in the same entertainment center. Performance-wise, for Bioshock Infinite under the Ultra_DDoF settings (the highest you can go) at 1080p, it average 70 FPS. When compared directly to the PS4, I can max out almost all of the settings in ACIV at 1080p, providing a much better quality rendering than the PS4 while matching its 30 FPS framerate (ACIV's PC version has problems with the 30-60 FPS range, so I used adaptive VSync at half refresh to lock at 30). This should provide significant enough power to handle games at 1080p for the near future. Also, the fact that this chassis supports full-size and full-power graphics cards will probably give it a very long lifetime as I upgrade cards. The GPU dominates performance so heavily that I don't see the CPU, motherboard, or memory needing to be replaced for a while, and the SSD is good enough to make loading times practically nonexistent. First, mount the CPU on the motherboard, apply thermal compound, and affix the CPU cooler while outside the case. Otherwise, you won't be able to get sufficient leverage on the rotating connectors to attach the cooler. Then place the memory on the board and connect the CPU fan header. Place the SSD on the drive mounting bracket and place that in the bay. Run the SATA and power cables to that, routing them and clipping them into place. Move the rest of the cabling out of the way and slowly lower the motherboard into place, making sure not to pinch wires to the top case fans. I had to carefully work the motherboard into the back panel until all the rear connectors popped into place. Screw down the motherboard. Connect the case fan header (both fans are on a splitter, so there's only one wire for this) and route the two sets of power motherboard connectors around the drive bay and onto the board. The smaller yellow connectors can actually be run under the board near the drive bay. Run the HD audio cable from the front of the case under the lower edge of the motherboard and onto the connector there (the graphics card will actually go over this). Place the graphics card, being careful to work the power connectors around it. I could probably have cleaned up some of my cabling if I thought more about it, but what I have now works for me, where I clip the power cables around the drive bay. The HD audio connector we ran from the front of the system should slip under the left edge of the graphics card. Connect the front USB cables (shame those are bright blue, unlike the black for everything else), the front power light and power switch wires (I had to look up the orientations of those on the motherboard a couple times), and the power to the graphics card. Close everything up and you're done. Again, I'm really happy with how this turned out and may only do a couple of tweaks to the fans in order to fully silence the system. The Hadron Air is an excellent case for this kind of system. As an update to the above (1/28/2014), I ran some performance tests and did a little tuning on the overall system, which squeezed out a fair bit more power than I initially had reported. Also, one of my case fans had been obstructed by one of the wires, so the other fan was working overtime and airflow in the case was not what it should have been. You'll want to make sure that wires are well clear of your fans if you assemble something in this tight of a case. Once I resolved that, the fan noise dropped significantly, to the point where the system is silent when sitting in my entertainment center. 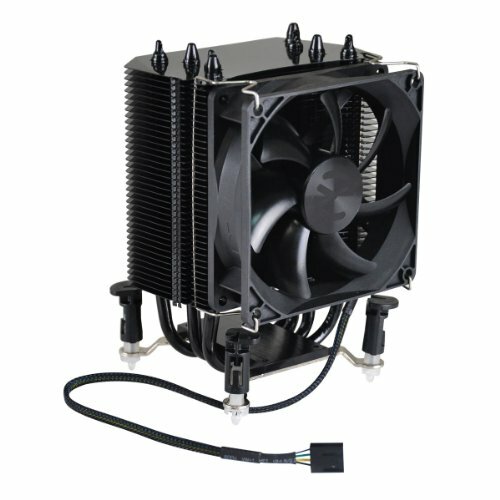 If I replaced the case fans and CPU fan with known-silent models, I bet I could get this to be silent when sitting a foot away from you on a desk, too. That's a 9% improvement in the Fire Strike score just by getting everything working at the right speeds. I then tried to push it a little bit, and used MSI Afterburner to overclock the GPU just up to right before it became at all unstable. I was able to set Core Voltage to +12 mV, Power Limit to 110%, Core Clock to +100 MHz, and set a custom fan speed ramp that stayed quiet for longer while keeping things cool. Others have pushed this same card higher, but when I tried to do so, it started becoming unstable under significant load. This led to my current Fire Strike 1.1 score of 6091, a 6% improvement over stock settings and a 16% improvement over what I initially reported. The overclocked GPU core clock is 1254 MHz vs. stock of 1162 MHz (the MSI card comes slightly overclocked out of the box), for an increase of 8%, so the 6% performance gain is understandable. Idle CPU temperatures for both cases were 31 C, ramping to 63 C under load. The stock GPU temperature was 31 C idle to 72 C under load, where the improved fan ramp on the overclocked settings had the GPU idle at 31 C to a max of 67 C under load. Nice build, I always wondered how the case intakes air? Nominally, from the bottom and the right side. The front of the case is angled up slightly, and the entire bottom is perforated. 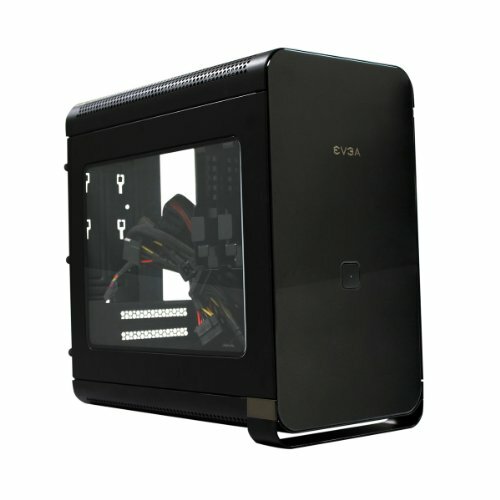 They show this much better here: http://www.pcper.com/reviews/Cases-and-Cooling/Video-EVGA-Hadron-Air-Mini-ITX-Case-Review . Temperatures seem reasonably low under load. Great little machine. Very thorough description, great purpose, awesome choices, and high quality goodness up in the photographs. I really like the Xbox 360 to PC comparison photo. To be honest, I don't know that you need that much storage for a machine that's built to interact with Steam. I figure I can load only what I'm going to play for the near term, since I can re-download anything at a later time from Steam. I regard it as cached local storage, since I'm probably not going to do anything else with this machine. I may add a second drive to this, but only as a dedicated drive for experimenting with SteamOS. As far as the cables go, it's been 10 years since the last computer I built, so I'm a little rusty. There are certainly better ways to route the cables, but your options are a little limited due to the space. Given that few people will be looking into the side of the case from where it is in my entertainment center, I don't know if I'll spend that much time on cleaning this up. What temp do you get with your cpu. I'm afraid that you're taking the hot air from the gpu without explusing it. At idle, 27 C, and under the full Fire Strike 3DMark benchmark (and while playing Bioshock Infinite's DLC for a couple hours) it got to a max of 47 C. That's with the "silent" profile on the CPU fan, but I think I'm going to replace that fan with something quieter. That case is pretty sick. Nice build. 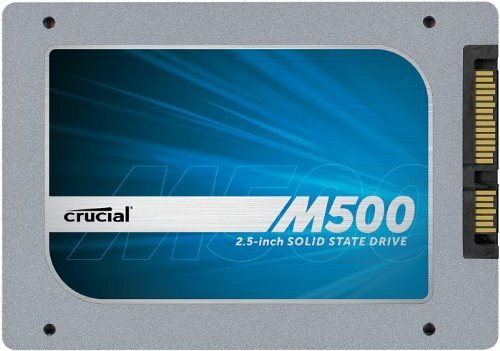 You might have to throw another storage drive in at some point, but hopefully SSDs will be cheaper by then! I like this, infact, this build was conceptually what I had in mind. But I started to increase my projected budget and decided to go bigger. The only thing I would have done differently was to get the 4770k to overclock down the road. It's always better to have that option! In the second picture you placed the CPU pin-side down on the table top. That had a lot of potential to bend a lot of the pins. I'm even cautious not to set the CPU anywhere other than the original plastic case it came in or the CPU socket. You must have a lot more than two balls. Very nice build. I'm wondering why you went with the 4770s versus the 4670s though. You could of saved $100, with a negligible performance loss in gaming. I just love that case, +1 on the build. Very nice build. I'm thinking of a very similar configuration. How loud is the PSU under load? Is it a relatively quiet case? How is the overall noise level on the system. I'm planning to do a build with the EVGA mitx cooler and Corsair AF 120's, but may switch to Noctua NH-U9B SE2 and Noctua NF-F12's if you say that the system can be heard noticeably. im late to the party but how many case fans can go in this case? 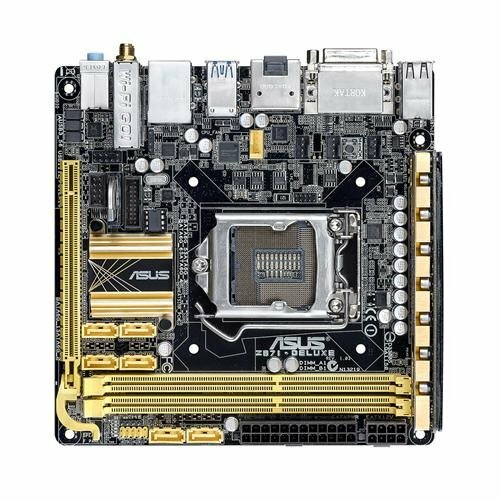 Why a 4770S with a Z87 board? Uh, no. Just because a fan is on one side of a radiator does not mean that it blows that way. The fan in this case blows up through the CPU radiator, towards the top of the case. That's a little more effective than placing the fan at the top and pulling air through the CPU radiator, in my experience. Hmm, why did you buy a locked processor with a board that has over clocking capabilities? You have a lot of headroom with that psu. You could have went with a 4770k and had enough clearance for a 780ti plus another hard drive. I did not say that he needed to use a 780 ti, I was simply stating that's how much more power headroom he had. There was no reason to use an S badged 4770. With his motherboard, the K edition 4770 would have made a lot more sense. 500watts is not a lower wattage psu, as long as no SLI is involved, he has headroom for a couple hard drives and a more powerful gpu. Thanks for the downvotes, your ignorance fascinates me. overkill Something called price to performance. Anything above a 760 is overkill for a home theatre application. Builder mentions it's a home theatre set up but he's playing newer games with it. GTX760 was a good choice for games like Assassin Creed IV and Bioshock Infinite on the big screen.